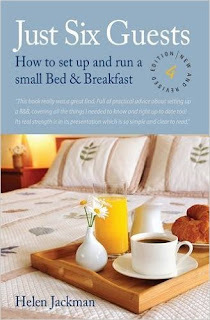 Smarter Incomes & Outcomes For You: A Left field Business Idea: BED AND BREAKFAST: THE EASIEST HOME-BASED BUSINESS? To foreign visitors, it's the comfort and hospitality of home---staying overnight "with people of the land" and enjoying a hearty breakfast---without the traditional gaudiness and plastic feelings visitors get from most big cities in the United States. To U.S. citizens, it is a welcome alternative to the same old hotel/motel circuit. Now, all it takes is a spare bedroom, a good cook ad an outgoing personality. Prices per night range from a low $25 to $100 or more. If you have an extra bedroom, a large home, or extra space in your farm house, you have the necessary beginnings to start making extra income as a Bed and Breakfast Inn. One of the beautiful aspects of this idea is that so long as you're hosting "overnight visitors" on a small scale no licenses will be required. It's always best, however to check with your local authorities just to be sure. Naturally, your "visitors" will expect a clean, neat and comfortable home. So assuming that your home meets these prerequisites, and you have a spare bedroom, simply 'doll it up" a bit. Make sure it's painted brightly, there's an outside window, lots of room, closet space and bureau, and perhaps a small writing desk, and a large comfortable bed, or twin beds. Most foreign visitors will expect and appreciate a "quick tour" of the interesting sights in your area. However, as your particular popularity as a B&B Host grows, you'll find that a lot of American tourists and business people on the road will begin availing themselves of your hospitality. Certainly with these people, it won't always be necessary to give the "Red Carpet" visitors treatment. Which brings us to the basic appeal of a Bed and Breakfast Inn. Travelers seem to be looking for, and appreciate a quiet "home-style" place to stay. Generally, they enjoy visiting with the people off the superhighway and want to get away from the sterilized atmosphere and sameness of hotels and motels. Most people will either write to you ahead of time, inquiring about the possibilities of staying at your home while in your town or city. This means a bit of advertising on your part, or listing your availability with a B&B broker. Some people will check the local telephone listings, and the newspaper advertisements when they arrive in a strange town. A simple little blogsite with all of your home details, a few pictures and a prices and contact page is all you need to market yourself globally. Checkout our great miniblog offer on here. And some people will just be driving across the country, come to a town or city they think is interesting, and start driving through the residential areas looking for Bed and Breakfast Inns. Thus, you should have a small sign posed either in your front yard or on the front of your house. This sign needn't be much more than about two feet wide and about ten inches deep. 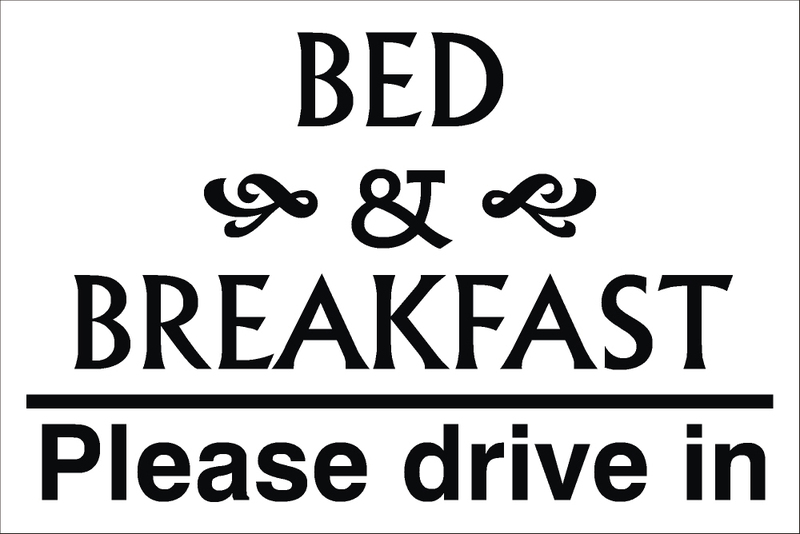 BED AND BREAKFAST--Inquire Within or Call 123-4567. For newspaper advertising, a similar listing in the personal column of your local paper, particularly on Thursdays, Fridays and Saturdays, will be all you'll need. But when it comes to the yellow pages of your telephone and business directories, go with a small display ad that describes in greater detail the comforts and pleasures of your service. Be sure to list your services with all the travel agencies in your area. A brochure or a short synopsis of what you offer will most assuredly give the travel agents an idea for steering visitors your way. cater to women--- will bring customers in for you. Listing your services with a broker usually won't cost you anything up front, but they will expect a certain percentage--usually about 25% of the total bill. This same arrangement applies with travel agents. Now, suppose you're organized and ready to receive your first customers. You greet them as host or hostess and offer to assist them in getting situated in the room or rooms you have for them. If they'd like to take a drive around your area and see the points of interest, you do that. And then in the morning, serve them a big, delicious breakfast. You'll probably find that foreign visitors will want to stay several days. With most people of this country who are just travelling through your area, it'll be a one-night stopover. Whatever, if they want to sleep comfortably through the night, eat breakfast and be on their way, so be it. This is a business you could run part time or full time and could easily bring in $10,000 per year extra minimum into your bank balance. A great little book shows you how to do it! If they want to stay around after breakfast and plan an itinerary for a compete visit in your area, your assistance and help will be greatly appreciated. (Remember those recommendations)!